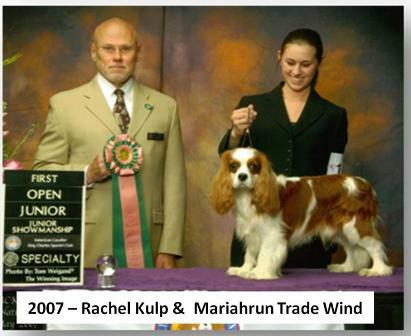 The American Cavalier King Charles Spaniel Club would like to thank all Cavalier Juniors for all the hard work and dedication that you put into working with our wonderful breed. 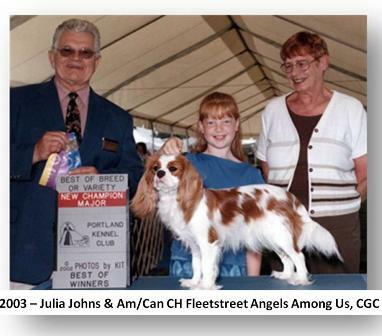 The primary goal of the program is to promote and encourage juniors to participate in the sport of American Kennel Club purebred dog events with Cavaliers, as well as to become active in the ACKCSC. 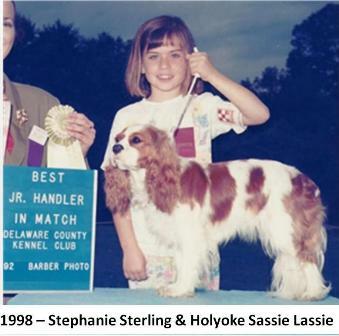 In 2014, the ACKCSC created four new scholarships/stipends for our Cavalier Junior Handlers. This is something new for our club. 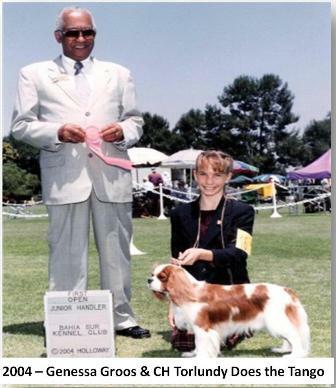 We hope it will help reward Cavalier Junior Handlers academic achievements and maintain their enthusiastic interest in the sport of purebred dogs. 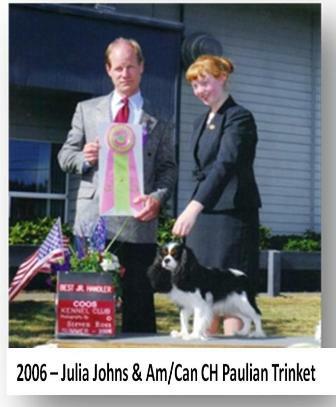 The first will help our Cavalier Junior Handlers outside of dog shows in higher education. 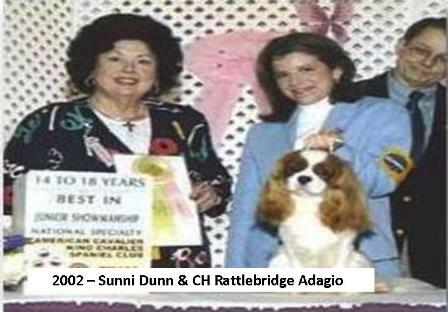 The other three recognize and support our Cavalier Junior Handlers achievements in the Junior Showmanship ring. College Scholarship: A $1000 scholarship, awarded each year to deserving candidates. Jr. must complete all necessary paperwork and receive ACKCSC Board approval before scholarship is awarded. 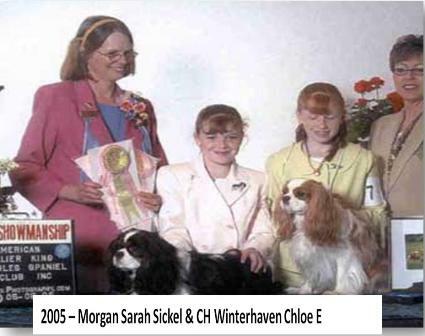 Westminster Kennel Club Stipend: A $250 stipend is available to any junior that successfully gains an invitation to, and competes in, the Junior Showmanship Competition at the Westminster Kennel Club Show with a Cavalier. Jr. must complete all necessary paperwork and receive ACKCSC Board approval before Stipend is awarded. 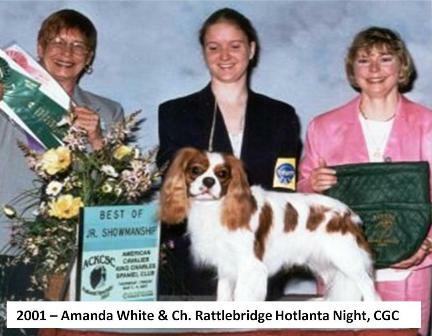 AKC National Championship Show Stipend: A $250 stipend is available to any junior that successfully gains an invitation to, and competes in, the Junior Showmanship Competition at the AKC/Eukanuba National Championship Dog Show with a Cavalier. Jr.must complete all necessary paperwork and receive ACKCSC Board approval before Stipend is awarded. ACKCSC National Specialty Stipend: A $500 stipend is available to any Junior that meets the requirements. Jr. must compete in the Junior Showmanship Competition at the ACKCSC National Specialty, complete all necessary paperwork and receive ACKCSC Board approval before Stipend is awarded. 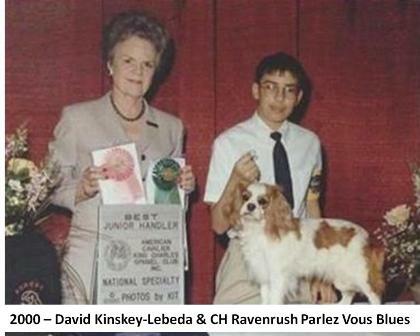 Top 10 Awards: An ACKCSC Rosette and certificate be presented to The Top 10 Cavalier Jrs (ACKCSC Statistics) each year at the National Specialty. 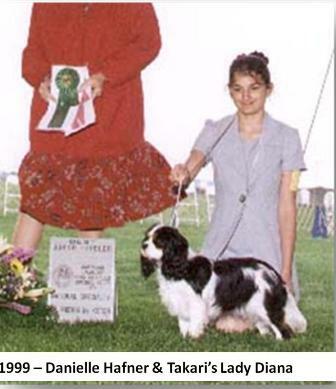 No entry fees for Junior Showmanship classes at the ACKCSC National Specialty Show. Junior Seminar All are welcome to attend with their Cavalier during National week. This fun and educational event gives Juniors the opportunity to learn and connect with other Cavalier Juniors from around the country. Help the Charitable Trust: Juniors can help with the Charitable Trust Auction & Banquet and meet our members and guests.